We will be launching our new redesigned advancedmistingsystems.com web site within the next week, and you will find it to be mobile friendly with simpler navigation. We are excited about improving user experience for quick product location. The new site layout breaks down categories for mist cooling packages for the contractor or do it your self-home owners, ranging from simple to complex. 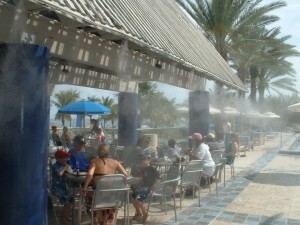 We carry a full line of misting fan products in stand-up, wall-mount and portable options. You can also find trailer-mounted and self-contained mist fans. Shop our many misting pump units with pressures as low as 150 psi to more than 1000 psi pumps. We also offer direct drive, belt driven, open and enclosed pressure pumps. Few companies put emphasis on the benefits and options of evaporative cooling fans. We know the applications for evaporative coolers range from industrial to farms to sporting events. We carry many options from Port-a-Cool, a leading manufacturer in evaporative cooling. Fans are a must for many industries. We carry circulation fans of all types including floor formats, wall-mounted fans, drum fans and even special-use fans like those that are explosion-proof. Advanced Systems Co has in-house customer service that will be happy to spend time with you on questions about products and job layout to assure you make the right choice on you cooling project the first time. Join us as we celebrate the relaunch of advancedmistingsystems.com. Feel free to give us a call if you need further assistance or pass on congrats for the new site layout!